A ROCKSTAR presentation should have a great design complemented with high-quality visuals, and should be narrated like a story. Yancey, the Founder and President at Empowered Presentations, in a FREE one-hour webinar on authorSTREAM teaches you tips and tricks to create a great presentation that can go viral. As the founder of Empowered Presentations, an award-winning presentation design firm with clients across the world, Yancey has been training professionals to create and deliver great presentations. In this webinar through real life stories and samples, she will teach you strategies that Empowered Presentations implement while creating presentations and how you can also do. 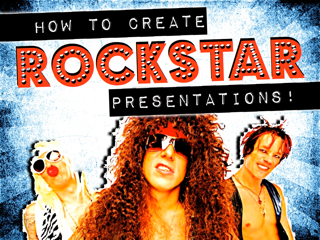 You’ll learn to create impressive presentations that can go viral. Yancey and her company has received accolades for their work from various news daily’s across the United States. Pacific Business News recognized them as Innovative Company of the Year finalist, Hawaii Business Magazine nominated them for Best in Business and Innovative Business and they were finalists in Best New Business in Pacific Edge Magazine. P.S. Visit www.authorstream.com/webinars/ for upcoming sessions.